Everybody breathes. It’s a fundamental activity that we do all day every day. But even though it’s basic, it’s an untapped resource for most people. When expanded, your breath can reduce your stress, increase your energy and help you to focus and learn. A 30-minute practice that leaves you energized and peaceful at the same time. It’s based on an ancient-day practice with a modern-day twist that makes it readily accessible to the Western world. The benefits are too numerous to mention here. 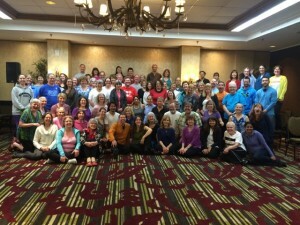 Qi Infusion is a combination of movements involving Yoga, Tai Chi and Qigong. The movements are designed to expand your breathing, as well as to release tension in your chest and shoulders. You’ll get an in-body experience of how impactful the words you say to yourself can be. You’ll also learn how your words can lead to manifesting what you want in your life. Choose the number one barrier in your life that is holding you back from taking your life to the next level. 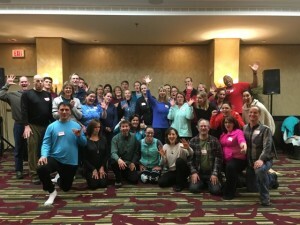 You’ll take action during this workshop to bust through your barrier. This event will be very experiential. We believe people learn best, retain information better and have the most fun through experience. Not to mention that two full days of lecture would be long and boring. ~Arthur C. Guyton, The Textbook of Medical Physiology, Fifth Edition. In today’s society, people are stressed out and driven by never-ending to do lists. With our fast-paced lifestyles, people are forgetting how to breathe. Most of us have a great deal of tension and breathe very shallowly . As a result, the body, blood and organs are getting less oxygen and our society is getting sicker and sicker. Cancer is running rampant. One in three people are predicted to get cancer and it’s only predicted to get worse. We’ve put a modern day twist on ancient breathing practices and eastern principles and created a powerful breathing technique called Qi Breathing. This technique can heal your body and create better health and vibrant energy. If you’re ready for better health and more energy, it’s time to experience Qi Breathing. A higher quality breath results in a higher quality life. We love creating community so bring a friend, build a bigger community and save money. P.S. 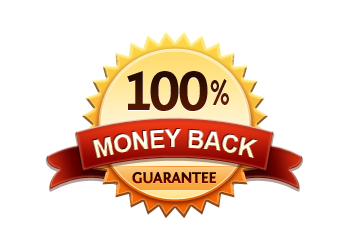 We are offering a 100% money-back guarantee. If you are not satisfied we’ll refund all your money. This is how confident we are in the program.